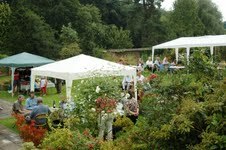 St. Andrew’s Sausage Sizzle was held in glorious sunshine on Saturday 8th September in the lovely garden at Little Trehill, Kenn by kind permission of Cissie Amos who had worked so hard to ensure her garden looked delightful and provide the perfect setting. 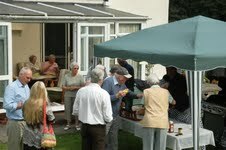 The barbecue was expertly manned by Messer's Wood and Hosking, with Sean at Ryder’s Bakery providing the rolls for the sausages. 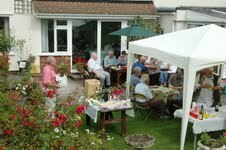 A wonderful range of sweets were also generously provided, with many thanks, by the expert village cooks. 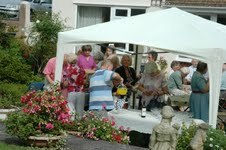 A range of draw prizes were also kindly donated and a picture was auctioned. 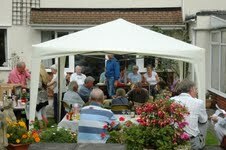 A great time was had by all and a grand total of £452.10 was raised.